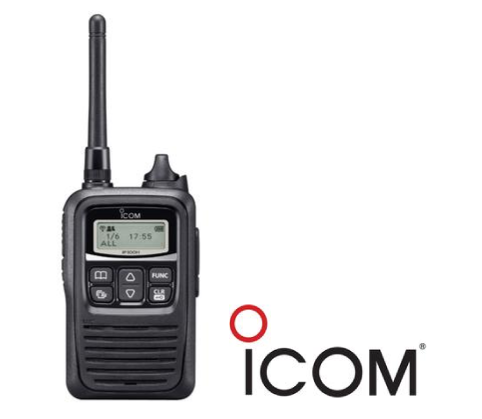 The Wifi Network Radio System from Icom generates a new world of possibilities with radios that can leverage already existing wifi networks. Consider the possibility of having radio coverage anywhere you currently have coverage for wifi-based devices. The IP1000C controller that connects to the wireless network allows grouped users to hear and talk with another group. Individual calls are also possible. Full duplex communication (as with a regular telephone) can be used if enabled in the IP1000C controller and if a headset is connected to the IP100H. In order to set up the connection, match up your network requirements and plug the IP1000C system controller into the wall. Next, program your radios by configuring the settings on the IP1000C which will control all communications in your network. This controller also manages individual programming in the subscriber radios themselves including talk groups, individual ID’s, address lists, timers, etc. It can network with up to 100 radios at a time. The radio itself is built to commercial grade for durability and can work with or without the antenna. 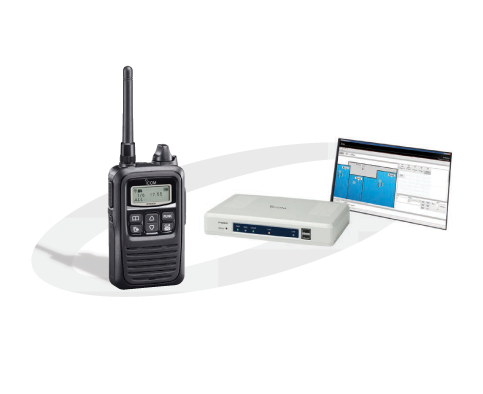 With full duplex capabilities, users can listen and transmit at the same time on this system. The wifi network radio system also offers an optional headset component to help improve productivity by giving users hands-free operation while simultaneously carrying out other tasks. If your organization is connected over an Internet VPN, the IP100H/IP100FS can communicate between dispersed sites such as offices or shops in different cities.